Get to know the Bible better! Your donations support this content. Thank you! WANJTD – Series – 2 Objects b) Judaica part 2: Household items. JasonSB on Israel on my Mind – Healing the World! Eliana on Israel on my Mind – Healing the World! Deanna on Can Passover be a sign for the Non-Jew? 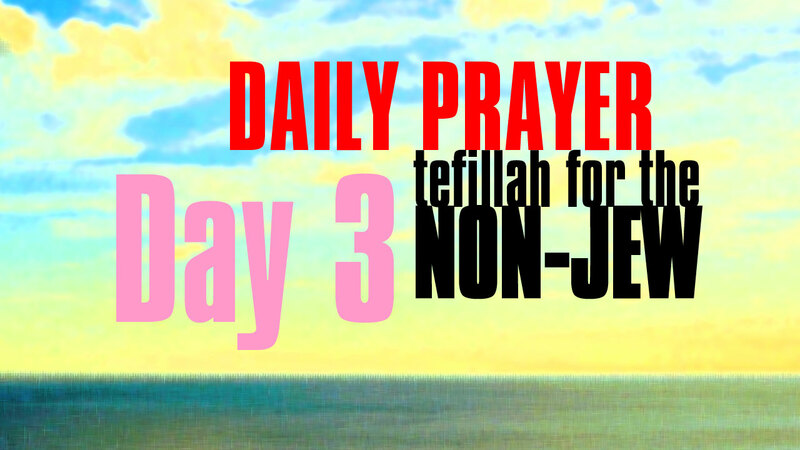 Welcome to Day 3 of our Daily Prayer series. Don’t worry if this is your first day, this isn’t something that needs to be ‘completed’ from day one, rather it is a rotational daily exercise. All you will need is 10 minutes, a quiet space and a Tanakh (bible).